All you do is pick the sauce and the meat. Choose from red, alfredo, or rosa (a mixture of red & alfredo sauce.) 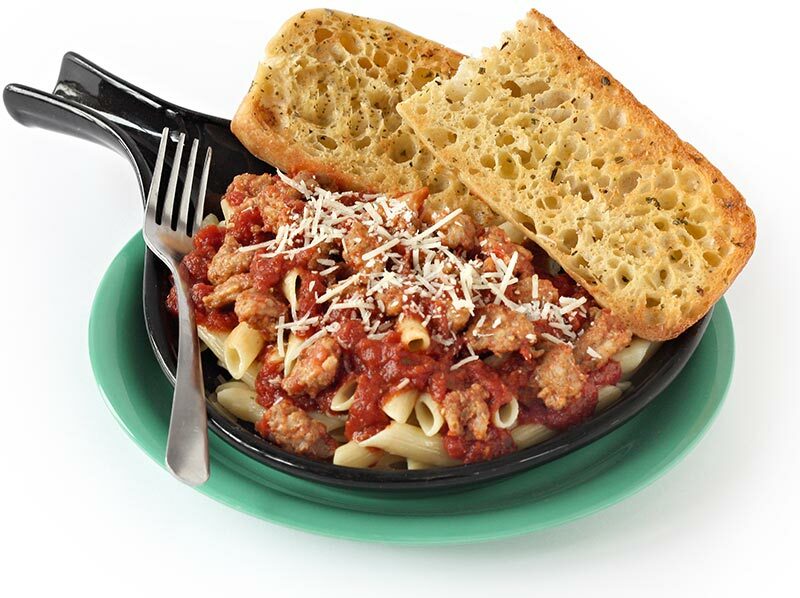 Your choice to add meatballs, Italian sausage or sliced chicken breast served over Penne Pasta. Pure, perfect pasta.